105-dc-photographer-2007_4828_SP-irene-abdou-photography.jpg | Irene Abdou Photography, LLC - Travel. Lifestyle. Documentary. NGOs, Development & Public Health. 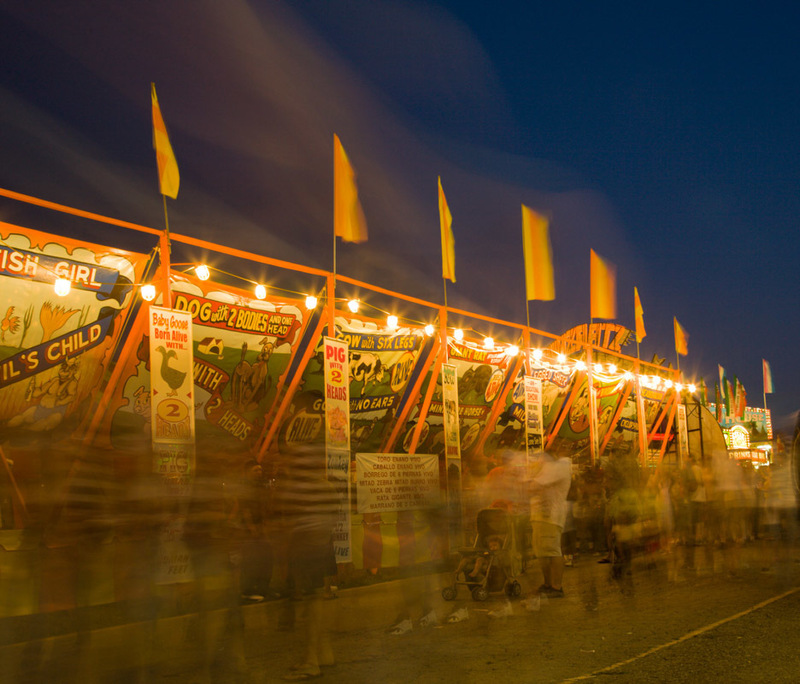 A longer shutter speed (4.0 seconds) renders the people walking along this carnival game strip at the Montgomery County Agricultural Fair into ghostly streaks and blurs. The streaks in the sky are also people walking past the camera, as the tripod was set at a fairly low level, aiming upwards.